The resurgence of the English striker has been one of many intriguing stories to unfold during the 2015/16 season. Harry Kane and Jamie Vardy lead the Premier League goal-scoring charts with 24 and 22 goals respectively. Kane became the first Englishman to score over 20 goals in successive seasons since Alan Shearer and Vardy broke records scoring in 11 consecutive games in Leicester City’s rise to the top of the Premier League. As the European Championships in France draw ever closer, both players are sure to be the shoo-ins for Roy Hodgson’s squad. However, the more recent story on everyone’s mind is the meteoric rise of young, Manchester United forward, Marcus Rashford. The 18-year-old has seemingly come from nowhere to establish himself as Louis van Gaal’s first-choice striker. Rashford’s first-team debut against FC Midtjylland in the Europa League restored some hope and optimism for United fans in a largely forgettable season for the club. 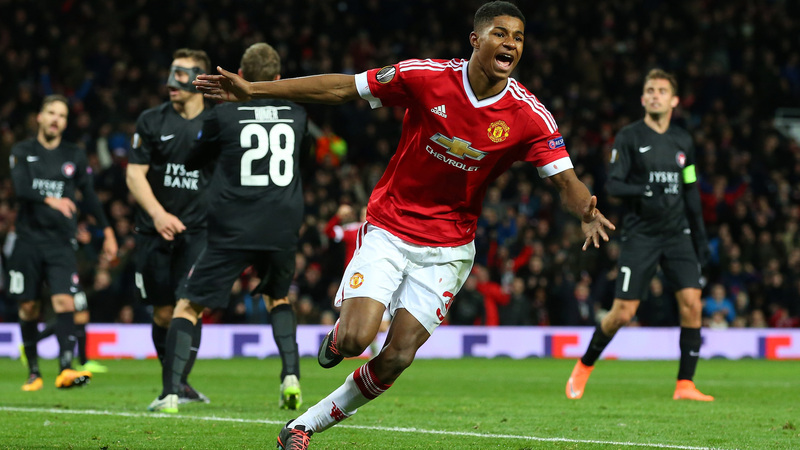 Rashford was the star of the show with two goals in a 5-1 rout. He marked his Premier League debut with another brace against the old foe, Arsenal and scored again in the Manchester Derby, shimmying past Martin Demichelis, leaving the Argentine defender trailing in his wake before opening his body up and slotting the ball in the far corner past Joe Hart. He became an instant United hero and a symbol of hope in a season where van Gaal and his team came under constant fire from fans and pundits alike. More recently, Rashford added to his tally by scoring against West Ham in United’s 1-2 victory in the FA Cup. It was a clinical finish from just inside the area, sizing up James Tomkins before lashing the ball off the underside of the crossbar into the back of the net. This was followed by a smart finish in a 1-0 victory which consigned Aston Villa to relegation. Rashford’s rapid rise to prominence has naturally been followed by whispers of an England call-up as the Euro’s draw ever closer. However, there is always that lingering feeling that history is destined to repeat itself with England’s young players. Wayne Rooney’s knee injury gave Rashford his chance in the first team, which he grasped with both hands but talk of an England senior call up is premature. It feels like we’ve been here before with young, English players and there is a fear of history repeating itself. A player breaks into their respective first team, enjoys relative success in their debut season and is quickly hyped up as the next big thing. The pressure of expectation builds and in some cases follows the player for the rest of their career. It’s been 10 years since a 16-year-old Theo Walcott boarded the plane to Germany and can anyone confidently say he’s improved significantly since then? The current United squad is very much on the wain and in large parts, in transition. Experienced players such as Michael Carrick, Bastain Schweinsteiger and Wayne Rooney have either been out of form or injured for long spells of the campaign. Thus, van Gaal was forced to blood his young players out of necessity rather than outright merit. The likes of Timothy Fosu-Mensah, Cameron Borthwick-Jackson and Donald Love have all made their first team debut this season in the place of the more senior squad members. This is not to detract from their performances as the majority have all risen to the challenge; the problem is that this season is not an indicator of how United’s first team will develop and form in times of such transition and with further change mooted on the horizon the picture will likely change dramatically by the time 2016/17 season rolls around. 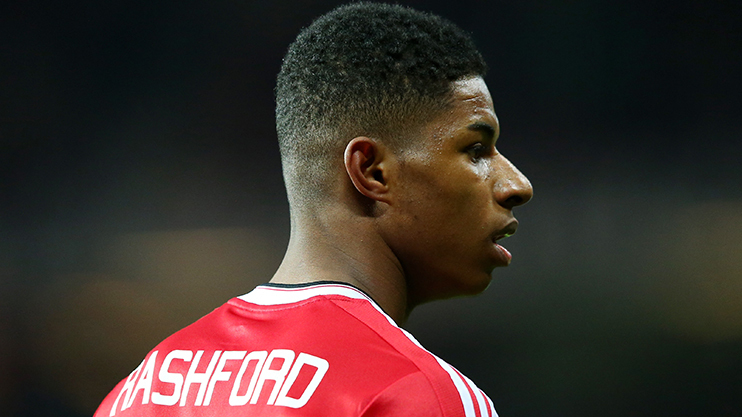 Having said that, Rashford has enjoyed the perfect start to his senior career but his journey is just beginning. He’s shown several of the attributes required of a quality striker with 4 goals in 7 appearances and 3 of those coming against the likes of Arsenal and Manchester City. He has pace, makes intelligent runs and is composed in front of goal but he still needs to be given the time to develop his abilities before making the step up to full international level. He’s yet to make his debut for the England Under 21s and this should be a key stepping stone to the senior team. There’s no doubt his performances for United have caught the eye but before he is thrown to the proverbial wolves at a major tournament with no international experience, maybe England should take a lesson from history and not repeat the same mistake of 10 years ago. Allowing Rashford the time and space to gain experience in the United first team and the England junior ranks, especially whilst England currently have a wealth of in-form strikers at their disposal could see the national team reap the benefits in the long term.